Hubs bought this wrap because he found it complicted using the cloth. *but not anymore now! 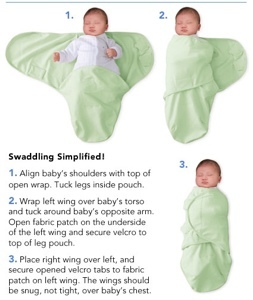 * I must say, this wrap is simple, easy, fuss free and daddy (or new modern parent) friendly. 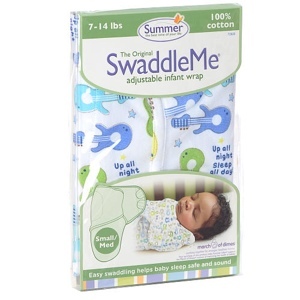 For a squirming baby at night, this wrap is definitely useful and quick for us. 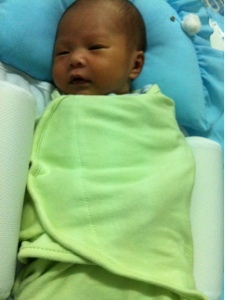 Baby Iq outgrew the wraps after two months of daily use - we simply cannot put the hook to the tabs anymore. After many washes, the aplix are still strong but the colours have fade. It had shrinks couple inches too from the way it looks.